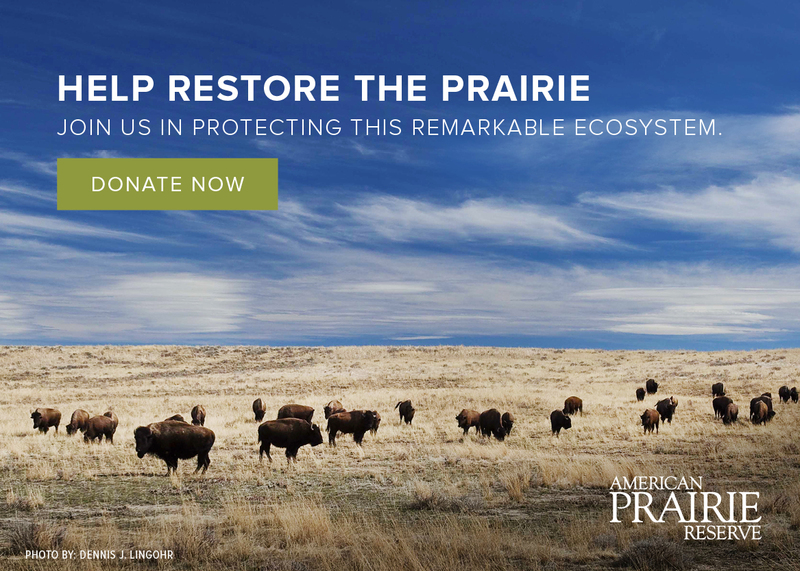 Thank you for your interest in working for American Prairie Reserve! Follow the links below for more information about available positions and for more information on how to apply. Apply now for an adventure of a lifetime! Live and work on American Prairie Reserve– a spectacular and remote grassland region where your day-to-day responsibilities directly support the advancement of our mission to create a wildlife prairie ecosystem and recreation destination for public visitors from around the world. Each year, we hire temporary staff to assist both with building and maintaining the Reserve, and also with keeping our visitor experience on par. We accept applications on a year-round basis, but start time is dependent on position availability and season dates. Check back frequently for updates. ORGANIZATION DESCRIPTION: American Prairie Foundation, d.b.a American Prairie Reserve(“APR”), is a non-profit 501(c)3 corporation generating funds to build and manage deeded private land and leased public land which comprise our growing project area in Northeastern Montana. APR runs programmatic and operational functions in our project area with administrative and development functions based in Bozeman, Montana. Our mission is to create the largest nature reserve in the continental United States, a refuge for people and wildlife preserved forever as part of America’s heritage.